This is the original version of 'MacArthur park', also made famous by Donna Summer. 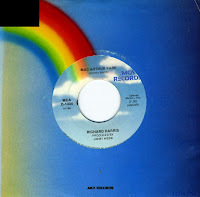 Richard Harris recorded it for his 1968 album 'A tramp shining' and also released it as a single. It was an unusual single, running for more than seven minutes, with a long, climactic orchestral break. Throughout his recording, Harris can be heard using the incorrect possessive form, "MacArthur's Park". Producer Jimmy Webb has said he tried correcting Harris during re-takes, but gave up when he simply could not (or would not) sing the correct words. The single reached number 2 in the US Billboard Hot 100 chart, number 4 in the UK singles chart and number 12 in the Dutch Top 40.